This FCSI Seminar was approved for 7.5 CEUs (The seminar is two days, with an overnight hotel stay in Charlotte). The seminar will provide usable knowledge regarding current trends in the Cook & Chill process including constraints, capabilities, and inter-relatedness of cooking and chilling equipment integration. Click here to complete application for the seminar. First Seminar Option: Arrive the dinner on Tuesday, April 9 for class on Wednesday, April 10. Second Seminar Option: Arrive for dinner on Tuesday, Aug. 20 for class on Wednesday, Aug. 21. Electrolux will pay for all travel expenses including airfare (Continental US only), hotel accommodations, meals, and ground transportation. Please do not book flights. What will FCSI Consultants Take Away From the Program? Extensive updates and knowledge of issues affecting design, layout and customer satisfaction pertaining to cooking and chilling products on process success. Trends/Labor Savings/Market Segmentation: Latest trends affecting the layout of cooking and chilling equipment including regulatory impact, space issues, and labor-saving practices. Connectivity, high-speed cooking and rapid chilling, equipment utility “sharing,” modularization vs. integration, FOH vs. BOH equipment trends, raw material and tariff impacts will be discussed. Cooking: Current updates and design considerations pertaining to Combi Oven cooking, Pressure cooking and High-Speed cooking. Combi vs. convection ovens, high-productivity cooking, speed cooking will be explored with the effect on the environment and food (molecular composition). 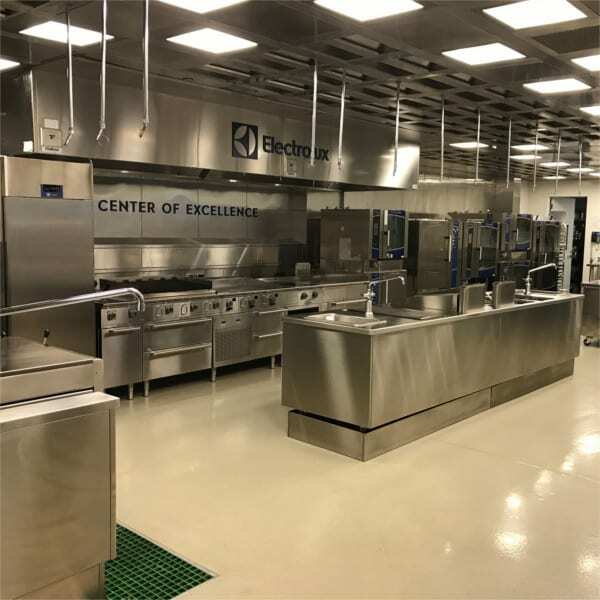 Chilling and Thawing: Current product update and design consideration with options and constraints due to the proximity of cooking equipment, self-contained vs. remote condensing, installation considerations and food safety. Cook & Chill Integration Exercise: Layout and design examples will be given to participants (group participation) reflective of both Cooking and Chilling equipment integration across small, medium and large scale locations and end-user segments.